Storage is needed in every room. 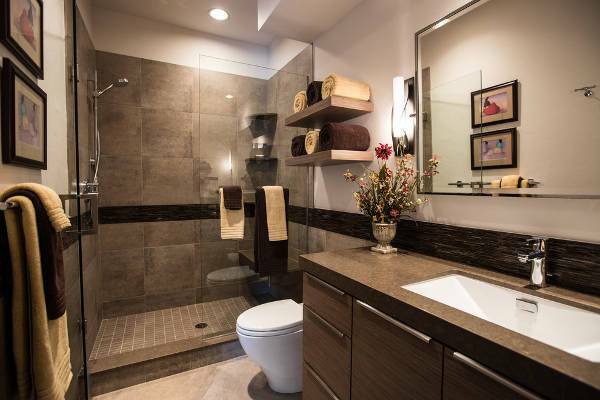 You can create storage by installing floating shelves in order to store various bathroom essentials and towels. 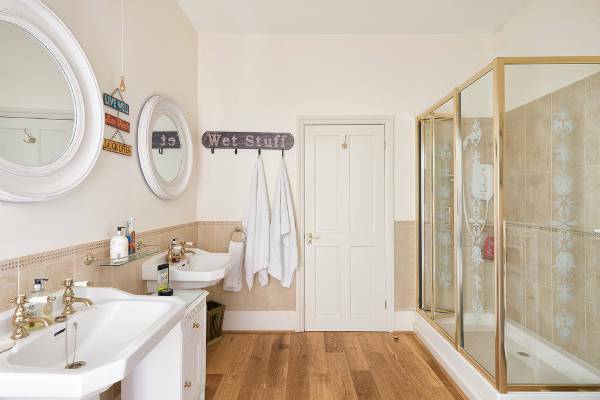 You can think of many creative ways to style your bathroom with storage solutions that will help. Apartments might have constraints in space but not in style. 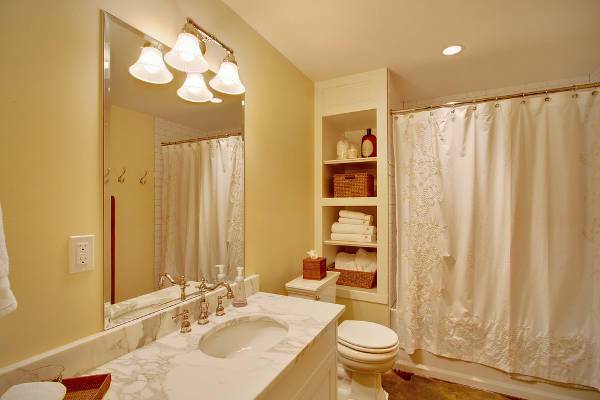 Add pops of color with colored tiles or with a vanity that has colored designs. You can also use shelving techniques to add storage space in your small apartment bathroom. 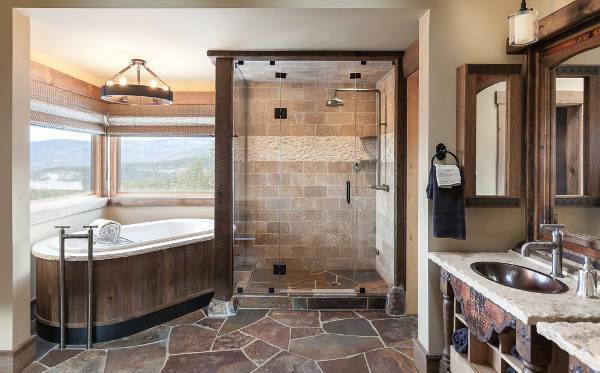 From stone, to tiles and from natural wood to synthetic, you have a great variety of quality flooring options for your small bathroom. You can choose a design with pops of color or a more classic choice with neutral shades. 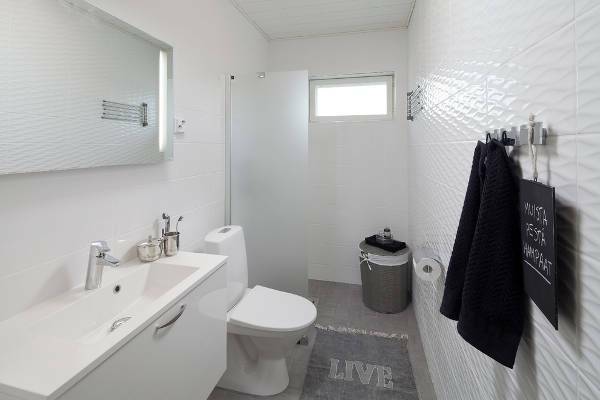 A small bathroom in the basement is needed in big families. 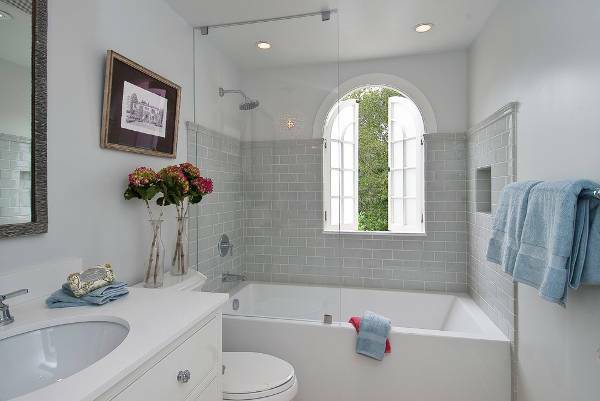 You can use all your creativity in order to design a bathroom with bright colors and style. 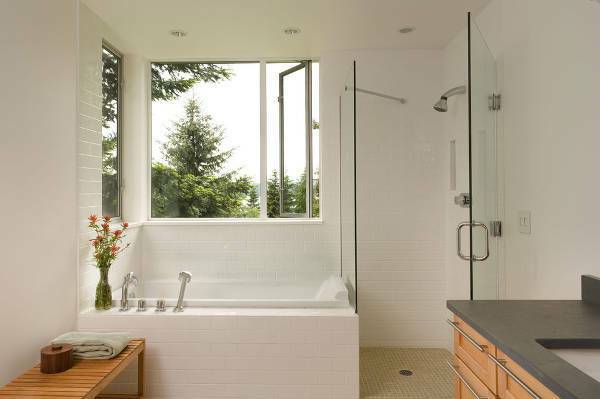 Choose a shower cabin instead of a bathtub to save space. 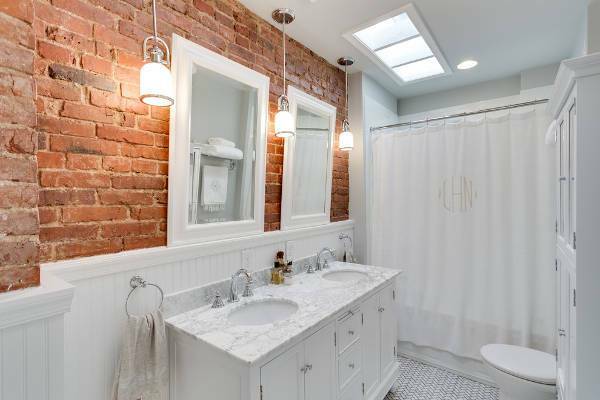 A wood wainscoting is going to transform your bathroom into a country style. You can have it painted into any colors you might like and use shelves of the same color for your walls for a matching effect. 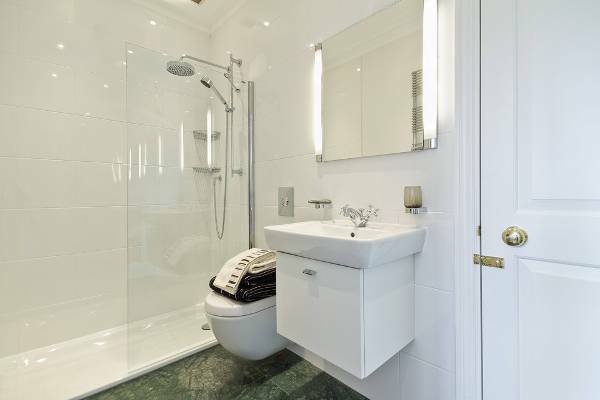 For a modern design you can choose floating vanity and toilet. This will give the illusion of wider space while it will look stylish and modern in a minimalist style. 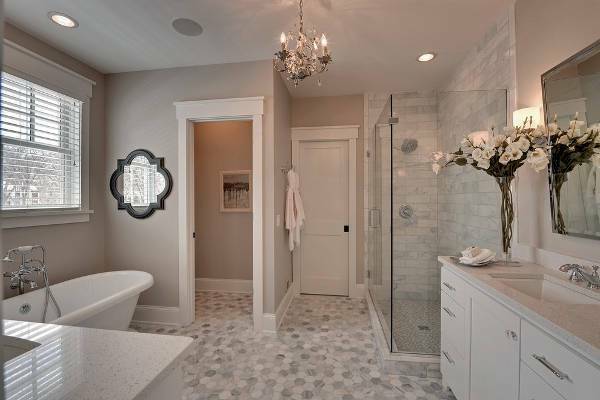 Furthermore you can choose a tile design in bright color. White brings light in any space making it look larger that it is. 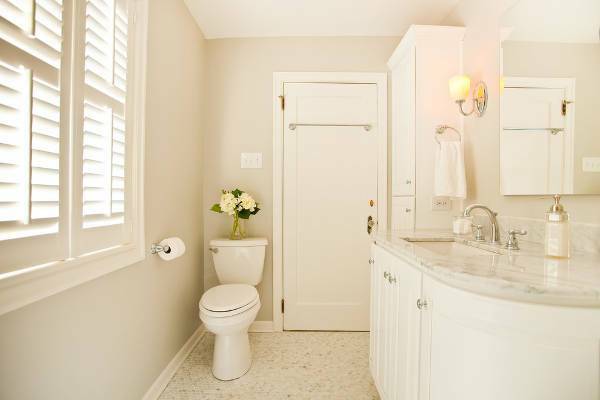 A small white bathroom is going to look adorable and elegant. 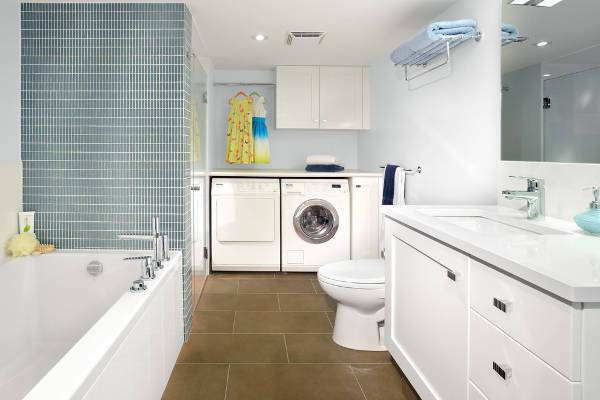 From the wall tiles to the vanity you can find everything you need in stark white colors. From recessed lighting to glamorous chandelier designs you can choose anything you like. However in case you choose a chandelier design make sure that the pendant is in accordance to the room’s size in order to avoid it looking overwhelming. You can have floating wall shelves or an elegant stand with shelves that will give you the opportunity to style your small bathroom while storing essentials. You can find shelves in a variety of designs and materials to choose from. 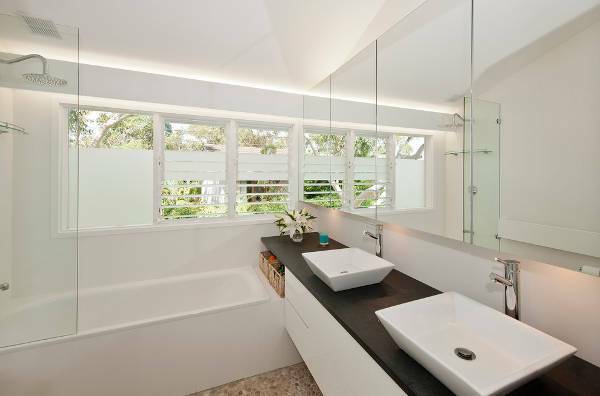 Style you small ensuite with a glass counter or a wall mounted sink in order to make the space look bigger. Also the smart use of the available layout is going to make the space look tidy and in style. Whether you choose a shower cabin or a bathtub you have the luxury to choose a design with a massage mechanism for some spa time. 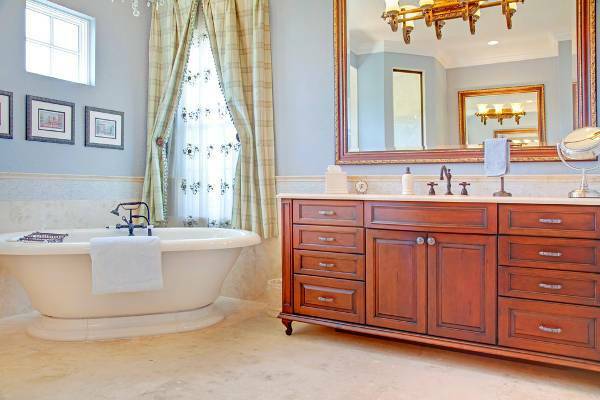 Turn your master bathroom into a relaxing paradise with the right color scheme and vanity. Just because the space is small, it doesn’t mean that the style has to be nonexistent too. You can amp the amount of style using smart furniture and decorating the space in a way that will give the illusion of larger room while adding personality making the space look wonderful.